What strategies have been working for your ecommerce business? Have you tried anything different in the new year? 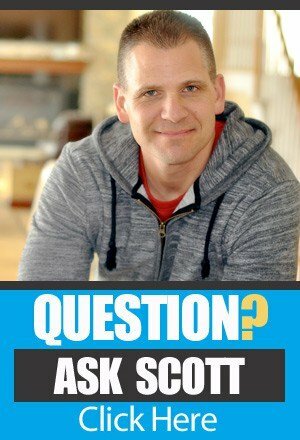 Do you have questions that you’d like to send Scott’s way? You’ve come to the right place! It is time for another session of Ask Scott here on The Amazing Seller. On this episode, you’ll hear from Scott as he goes over why you should check out the Brand Accelerator Live event in September, his thought of the week, an answer to a question from a TAS follower like you, and much more. Don’t miss a minute of this informative episode! If you think it, you can do it. What is holding you back? Seriously! Take a moment and consider what thoughts or ideas that you’ve internalized over the years that might be holding you back from success. Everyone has some sort of limiting belief in their life, some have massive hangups that keep them from taking action, and some have smaller ones. Have you dealt with yours yet? Don’t put this on the back burner, this could be the one thing that is holding your ecommerce business back. To hear more about this important topic, make sure to listen to this episode of The Amazing Seller! Build an email list, what are you waiting for? Is it a good idea to feature your product in a giveaway group? If you’ve been around the TAS community for very long, you know that Scott is encouraging sellers to move away from this strategy. Rather, he’d like to see more sellers invest in assets like an email list. 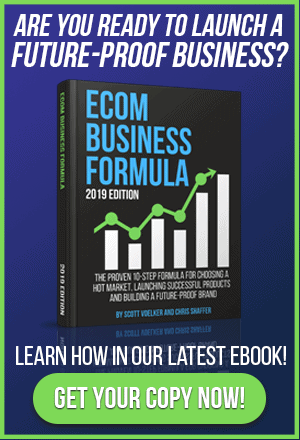 If you want your ecommerce business to go the distance, you need tools like an email list that allows you to connect directly with your target market. So what are you waiting for? You don’t need to have a list with 15,000 email addresses tomorrow, but you’ve got to start somewhere. Listen to this episode of The Amazing Sellers as Scott expands on this vital topic! Why you should connect with an influencer. One of the most popular methods of growing an ecommerce brand is by connecting social media personalities and influencers who have taken the time to build a unique following. If you want to expand your brand’s reach, why not consider partnering with an influencer in your niche market? Scott has dabbled with this approach, and he’s had some great experiences. Find out how your brand can benefit from tapping into the audience of social media personalities by listening to this valuable episode of The Amazing Seller! [3:00] Scott shares his thought of the week; if you think it, you can do it. [6:45] Question: How do I launch a giveaway with variations? [11:45] Why you should build an email list or connect with an influencer. …do it again here today. And depending on what day it is for you, it’s Friday here today on the podcast, and this is where we sit around and we talk a little shop. We talk about, well, we also give some weekly thoughts and I’ve got a couple here this week that I want to share with you but it’s where you get to ask questions and I get to give you my opinions, my advice, whatever you want to call it, but it’s kind of like we’re at that coffee shop and we’re just having that nice warm cup of coffee which you guys all know that I love. So, if you have a question that you want me to answer on an upcoming Ask Scott session, so all you have to do is just head on over to TheAmazingSeller.com/Ask and you can do that. One more time, that’s TheAmazingSeller.com/Ask and then you can just ask a question or just do me a favor, leave your name and a brief question, maybe even where you’re tuning in from, that would be awesome, and that way there we’re connected a little more. I really appreciate that. All right. Awesome. So, before we do jump in, I’ve got some thoughts I want to share with you. I also have a reminder for you. If you guys have not heard the big news and I’m saying that kind of kidding around, I’ve announced it about two-and-a-half months ago I believe it is now, is I’m actually doing my first ever live event and it’s called Brand Accelerator Live and it’s going to be in September of 2019 and it is going to be awesome. So, I just wanted to remind you if you have not grabbed your ticket yet, you might want to do so. Right now, currently we’re just over 25% sold out and what I mean by that is we’re going to keep this really small. Compared to a lot of the events out there, you might’ve already attended some of them where it’s just like thousands of people, we’re going to keep this to a maximum of 300 people. [00:02:00] Scott: So, we’re going to keep it really, really small as far as an event goes but it’s going to be big enough to where we’re going to have a lot of energy there, we’re going to have a lot of great people there, and I am just super excited to be talking all about accelerating our brands and teaching you guys and bringing in people to help teach us all how to optimize our current businesses. Whether it’s just on Amazon right now, we can still optimize that further whether that’s pay-per-click, whether that’s optimizing our keywords, whatever it is, we can do a better job, and then from there really about how to market our businesses and grow our business externally. You know, whether it’s adding more channels, building our email list, learning how to do it in a way where we get more eyeballs on our brand and attention which you guys have heard me talk a lot about recently, attention is the new currency. But anyway, Brand Accelerator Live, come on and join us. We’re going to have a lot of great people there, a lot of people just there in general that are going be attending are going to be great people. So, BrandAcceleratorLive.com, go grab a ticket or you can head over to TheAmazingSeller.com/Live and you’ll get all the details there. All right. That’s that. Quickly, I want to share some thoughts with you. Here is something that I want to say and I want to talk about it, okay, and I wrote this on a picture recently that I posted on Instagram. If you’re not following over on Instagram, you can follow me over there at Instagram.com/ScottVoelker and you can watch me do my push-up sometimes and hurt my neck which I recently did and I’m paying the price. But anyway, on a serious note, I posted a picture and I wrote, “If you think it, you can do it.” And what I mean by that is we a lot of times hold ourselves back of what we can actually achieve and that’s just because of things we told ourselves or that we believe because other people might’ve even told us these things and I was lying in bed the other night and I’m thinking about like how so many people limit themselves on what they can actually achieve, and I know the feeling firsthand. If I was going back to when I was 25, 26 years old, I had such limiting beliefs in myself because of what I was either told or what I believe other people had done and the path that they were going on that I thought was success. Like a college degree to me was success and I’ve kind of since thought differently about that because now here we are. We’re on a podcast, over 12 million downloads, reaching people globally, having an event where I’m going to be able to be there with people in person and really get the energy in the room and that’s what I’m excited about. But I wanted to share this with you because I’ve had those same thoughts and I still have those same thoughts just at different levels like recently, I just purchased a lake house that I’m going to be turning into an Airbnb as a rental and I’m going to be using it for mastermind retreats and workshops and I’m going to be possibly going there with or hopefully going there with my family and enjoying it as well, but it’s another venture. A little scared, a little nervous. I’m not going to lie but it’s something that I know as part of the process. So, again, if you can think it, you can do it but you got to believe it. [00:06:01] Scott: You have to believe it. It’s not up to me. It’s up to you. I can just kind of show you my experiences in other people, but you have to think to yourself, “You know what, why can I? What’s holding me back?” There’s nothing holding you back other than you and I truly, truly believe that. So, just dream a little bit, think a little bit. What do you want? Go get it, right, just go get it. All right. So, let’s go ahead and jump into today’s question which I didn’t even tell you what it was going to be about but if you read the title then you know what it’s going to be about. It’s how should I do a launch giveaway with variations? But I’m going to let Mel go ahead and ask the question and you can hear exactly all the details that she wants the answers to but it’s a good question so I’m going to stop talking so you can listen to this question from Mel. [00:06:48] Mel: Hi, Scott. I love your podcast. My question for you is sort of similar to something that you’ve answered prior but I want to focus more on the giveaway aspect and that is product variations. So, my product has a bunch of colors and a bunch of sizes about 45 ASINs and for the product giveaway I know which one is the most popular size and I kind of estimating which one is the popular color based off of my research. But for the giveaways, how does that work if I am going to either do my own Facebook ads or do Viral Launch or RebateKey or any of those launch services, how does that work? Do I do the giveaways through that one ASIN? And what happens if that ASIN goes out of stock? Do I just get lost in the pages of Amazon? And how does it affect the other listings? Should I be trying to do giveaways for the other ones also? So, it’s just I don’t see a lot of content on product variations and giveaways and that would be really helpful. So, thank you and looking forward to your answer. [00:08:13] Scott: Okay. Well, Mel, thank you so much for the question and some of you might be saying like, “Well, how did you know her name was Mel?” Well, I think that’s what it is because that’s what it was on the submission for the audio message. So, anyway, I’m going to by Mel. Okay. So, anyway, great question. I’ve got some questions for you, which if we were at the coffee shop, I would be asking you these questions, but I’m just going to ask myself some questions that you might be giving the answers from if that makes sense. But, anyway, let me dig in here. So, it sounds like to me that you have a whole bunch of variations, colors, and sizes, and it sounds like a lot of SKUs under one product listing. Okay. So, let’s just say that you have one product and let’s not even say it’s 40 because I think it was like 40 or 45 but let’s just say it’s 10. And anyone else out there with multiple variations is in this situation. So, let’s just say, for example, you have a product listing with 10 variations on it whether that’s colors and sizes, but you kind of know what ones are the top sellers or the ones that will be the top sellers, those are the ones that you want to get the ranking from, from doing a giveaway and I’m doing air quotes. I do not want to suggest that you do a giveaway like you give away your product. I hope that what we’re talking about is you’re going to do a discount of no more than 50% to go ahead and do this because here’s the deal. The days of doing a 90% off giveaway, 100% off giveaway to go ahead and boost your rank and get yourself ranked and stay there and then get some reviews in the process, to me, those days are long gone for me personally. It might work short-term maybe. They’re always cracking down on that type of a launch so I don’t advise it. You’ve mentioned a couple of different services out there. I don’t believe that you should use the service. That’s just me. [00:10:11] Scott: There’s a couple out there that I would say that I would probably say are trustworthy and in some of those that you mentioned, I forget now which ones they were but I heard you kind of throw off some different ones. I’m not going to go ahead and throw anybody out there as far as good or bad. All I’m looking at is this, when you’re going to one of these sites, deal site, review group, rebate groups, whatever, they’re all out there, all to me that they are, are email list of people that have raised their hand to basically say, “Yeah. I’ll go ahead and get a product for a huge discount and I will leave a review or maybe they won’t leave a review but I’m going to purchase the product.” The problem with that is, number one, those platforms are flooded with products so you might even give 90%. You might not even get that much of a bump. You might not sell a ton. Okay. That’s number one. Number two, if you do sell a ton, you might not even rank depending on how much you’ve discounted, okay, because Amazon is starting to work on the inner algorithm of if something is discounted a certain amount, let’s not boost the rank or let’s not climb the ranks. There’s other factors that we have to consider in the algorithm. So, there’s all of that stuff. Again, I don’t know all the nitty-gritty because I don’t play in that world. The world that I play in is this. It’s very simple and this is what I would suggest. If you do not have your own email list, if you have not built your own email list, build an email list or if you don’t want to build an email list, find someone that has reach in their audience, go to an influencer. Okay. I would rather pay them as much as you’re going to pay for one of these services and the product that you’re going to discount and basically lose on 100% or even pay to give away your product so you can potentially rank. I would rather give it to an influencer. Even if it was $1,000, I think that’s money better spent than it is on a deal site or on one of the services, a rebate club. [00:12:18] Scott: The rebate club the way that that’s working is basically you’re as far as I know is, you’re basically saying like they’re going to pay for it, but then you’re going to refund them back. Not you. The service so you would pay the service $100 and then people would buy the product and then the service would refund those people back. That’s how that’s working. So, that’s how you get around the whole they’re going to buy it at full price but then they’re going to give them a rebate back so it looks like it’s a full purchase. I don’t like it. To me, it’s borderline black hat. It’s definitely gray hat in my world so I don’t suggest doing it. So, if I was you, I would do the list building type stuff and I would build up my own list. I would do that for long term anyway and then if you don’t want to do that, I would find someone that has reach and that was an influencer in your space. That’s what I would do. Now, the other part of your question was, “Okay, well what happens if I run out of inventory on that one SKU?” The great thing about having multiple SKUs and variations under the one product listing, your listing is never really going to be not available so it’ll always be ranking but you might not be ranking for that SKU. So, you’ll still get some of the juice coming into the listing because you’ve pushed all the sales through there and depending on your reviews, your review should also be housed over top of that entire listing multiple variations so that’s a good thing. But I wouldn’t really worry about running out of inventory and again, if I was going to do this, I wouldn’t be doing it if you only had 100 units in that one color because you’re going to blow them out and then if it takes you 30 more days to get in, you’re going to lose the momentum. And also, here’s a better strategy. Okay. If you don’t want to do the list building, if you don’t want to do the outreach, go in and look for exact keywords of people searching for whatever it is. Red-handled garlic press, you sell all different garlic presses. You have a red handle, a green handle, a blue handle, a yellow handle. [00:14:16] Scott: Take that red-handle one, bid on that keyword then. If that’s the top keyword, bid on that as an exact match, find other ones, other variations of that keyword, put those into a campaign, 10 keywords let’s call them. They’re exact keywords of what people are searching for that you want to rank for and then be aggressive with that like overspend on that because that right there is true Amazon juice because they’re going to say, “Oh, wait a minute, someone’s searched for a red handle garlic press and they went over here and they bought this person’s listing that they were advertising for. I guess that that’s exactly what they were searching for and I guess that’s exactly the keyword that people are searching for that we’re going to rank them for.” Like, that’s how it works like it doesn’t get any simpler than that. Now, the only thing is you have to make sure that your listing is fully optimized, make sure that your titles optimized, your bullets, your description, your backend keywords, make sure you have great images. A lot of times people don’t realize that if you’re not optimized, you can throw as many sales ad as you want. You’re not going to rank for anything other than that one thing and if you did like a super URL which was back in the day you would go ahead and create the URL that you wanted people to go through, again, black hat, well, gray hat, let’s call it. Not fully black hat. And from there you could rank for that keyword. You don’t have to do that anymore. Just have those keywords in your listing. That’s what we call optimizing your listing and then drive sales to that listing. You’ll rank. And if you do it through pay-per-click that’s kind of like, that’s the legal way of doing the super URL in a sense because you are sending traffic of people that are going through that link. Once they click on it, they clicked on it because you are targeting that keyword. It doesn’t get any easier than that. Okay. So, that would be my suggestion. [00:16:07] Scott: And I’d be careful because if you’re going to go ahead and spend all this money, number one, on a service and then on giving your product away for 90% or 100% and then from there hoping that you rank and if you do rank, hoping that it sticks, it’s just risky to me and you’re going to be spending money to try to do the same thing that if you would’ve just went and did the other, got aggressive with pay-per-click, lowered your price a little bit. There’s another strategy. Lower your price a little bit, ramp up the pay-per-click on those keywords, off to the races. So, I think I gave you my thoughts on that pretty much. All right. So, that’s what I would do, Mel. Let me know how it works out for you though and thanks for being a listener too, by the way. I know you said you’ve been listening for a little while and you’re enjoying the show so I appreciate and I appreciate everyone that does leave reviews or subscribes to the podcast which a little reminder here if you haven’t done that so far, you can go ahead and do that for me. That’d be awesome. I’d really appreciate that. You can go to iTunes or Stitcher and you can do that. That would be awesome. [00:17:10] Scott: And, yeah, just let me know your thoughts. I do read the reviews good and bad and I want to make sure that this stuff is making sense to you. And if there’s something that’s not making sense, then go to that link I gave you before, TheAmazingSeller.com/Ask and then leave me a voicemail and I’ll maybe answer on an upcoming Ask Scott show. So, that’s going to wrap it up. The show notes to this episode can be found at TheAmazingSeller.com/625 and again, this is Session 195 and, yeah, remember that other thing I mentioned earlier too. If you think it, you can do it. Trust me on that. All right. So, guys, that’s it. That’s going to wrap it up and remember, guys, I’m here for you, I believe in you, and I am rooting for you, but you have to, you have to, come on, say it with me, say it loud, say it proud, take action! Have an awesome amazing day! And I’ll see you right back here on the next episode. What if we are a team of 3 women who want to attend — sales of $60,000 plus per month?